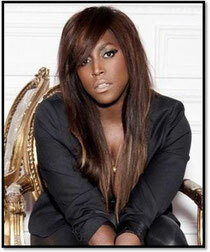 Mica Paris will perform a special one-off show on Wednesday, 11th April. One of the UK’s finest and most respected female singers, with a career full of worldwide Top 10 hit singles and albums, Mica shot to fame in the 1990s with the single “If I Love U 2 Nite’ written especially for her by Prince, which she recorded at his Paisley Park studios. Paris also recorded with Anita Baker, Bonnie Raitt and Natalie Cole on the album ‘Nelson Mandela: An International Tribute for a Free South Africa’ (1990), and provided the title track to Isaac Julien's Young Soul Rebels movie soundtrack the following year. More recently, Paris was the special guest of Boyz II Men on their 20th anniversary UK tour in May 2010, and was also the Very Special Guest of Michael Bolton on his UK tour dates in November & December 2010. In 2011, Mica stole the show at the Royal Albert Hall's star-studded Dusty Springfield celebration bringing the sell-out London crowd to its feet and on Wednesday 11th April 2012, Paris will stage a rare live performance at London’s Floridita (100 Wardour St, Soho). An outstanding live performer, Mica Paris is currently on stunning form and this should be one of the best soul performances of the year. Doors open at 5.30pm, support acts at 7.30, Mica Paris is on stage between 9.00 and 10.00pm. Tickets range from £15.00 - £40.00.